St. Anthony’s School provides a holistic musical education with an ethos of inclusion and excellence. Children of all abilities are catered for. In the classroom the children follow “The Right Note” music programme. Every child in the school also performs in annual Christmas concerts and shows. The school is particularly renowned for its Senior Choir. Up to 200 boys from 5th and 6th classes join every year and perform at the Christmas School Mass. Talented singers are often discovered and given ample opportunity to showcase their voices in small groups and in solo settings. We are also fortunate to have many instrumentalists throughout the school. These boys are all encouraged to perform on their own or in small ensembles or large orchestras. Boys from 3rd to 6th are invited to join the Senior Orchestra where the music is adapted to suit each individual. Musicians often come from outside the school to perform for the children and to introduce them to different musical genres. St. Anthony’s has a very active chess scene. We have won many Cork titles at team and individual levels. Chess classes for beginners and advanced players take place throughout the school year. Classes are on Tuesday and Thursday from 2.45pm-3.45pm. Tuesday classes are suitable for advanced players (Room 20). Thursday’s class is suitable for beginners (Room 19). The chess tutor is Richard, a retired teacher and chess enthuasiast. Each year, St. Anthony’s School participates in a number of quizzes throughout the year including: Credit Union Schools Quiz, Super Schools Sports Quiz, and The Lifetime Lab Science Quiz. Teams are selected from 4th and 6th classes. The school also takes part in the National Parents Council Quiz. Speech & Drama classes are run by “Konfident Kidz”. Classes take place in the school on Thursdays. After School Training Gaelic Football training for 5th and 6th classes takes place in the first term. The school enters two teams each year for the Sciath na Scol Gaelic Football competition. Hurling training begins in March, also for 5th and 6th classes. The school also enters two teams in the Sciath na Scol Hurling competition. Indoor Hurling takes place in the school gym, beginning in the second term. This training is for 3rd and 4th classes. 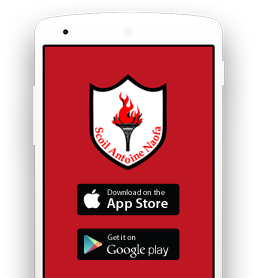 We have our own internal leagues and also enter the Sciath na Scol Indoor Hurling Competition. In the last term, boys from 4th and 5th classes train and take part in the “Shane & Gavin Kavanagh Gaelic Football Memorial Tournament” .